Low Sizergh Barn Farm in Kendal, Cumbria, was reported last month to have caused 56 cases of campylobacter poisoning through sales of its unpasteurised ‘raw’ milk. Following an American trend, it began selling milk directly from vending machines outside its farm shop earlier this year. 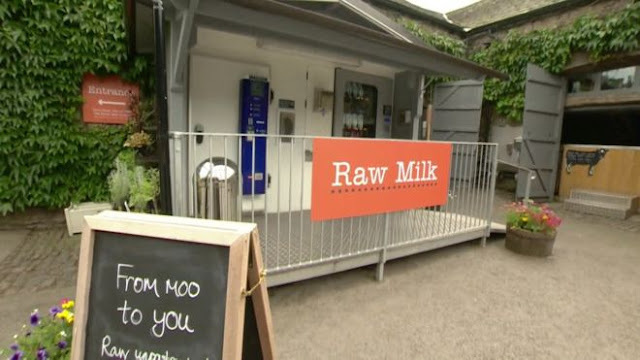 According to the BBC, the farm sells about 70 litres of raw milk per day, and won a National Trust fine farm produce award for its machine-vended produce back in August 2016. However, the hip way to stir sales now seems to be under fire, as some are blaming the method of mechanised vending for the outbreak of illnesses, which have thus far affected people ranged one- to 86-years-old. South Lakeland District Council (SLDC) launched an investigation, working in conjunction with the Food Standards Agency (FSA), after the problem was first detected in mid-December, when it emerged that six people had fallen ill after drinking the milk. When Public Health England (PHE) subsequently requested that everyone who had visited the tearoom in the prior two months fill out an online questionnaire, 50 more cases of food poisoning were made apparent – taking the total up to 56. Indeed, as we’ve reported before, the American CDC claims that imperfectly cared for milk is the cause of almost three times more hospitalisations than any other foodborne disease source, making it one of the world’s most perilous food products; whilst pasteurisation can massively increase its shelf-life by killing pathogens like campylobacter.